Epicurious named mezcal the spirit to watch in their article on 2013 food trends. I became enamored with the smoky Mexican liquor last year and used it in several drinks, including two from my Dallas-themed series (John Ross and Elena); Light My Fire, a spicy drink with Aperol; and the Smoky Ginger Cocktail, which paired mezcal with ginger liqueur. These two mezcal cocktails are both adapted from recipes that come from Mayahuel, a Mexican cocktail lounge in New York's East Village that takes seriously the business of making cocktails from agave-based spirits, namely tequila and its lesser known (but apparently trendy) cousin mezcal. It takes its name from a goddess associated with the maguey plant, also known as the agave americana, from which mezcal is derived. Both of these cocktails are pretty strong, especially Jacko's End, which is served up. I reduced the proportion of alcohol to non-alcohol ingredients in the Smoked Palomino just because I didn't want a drink with 4 oz. of booze (although sherry, as a fortified wine, does have a lower alcohol content). 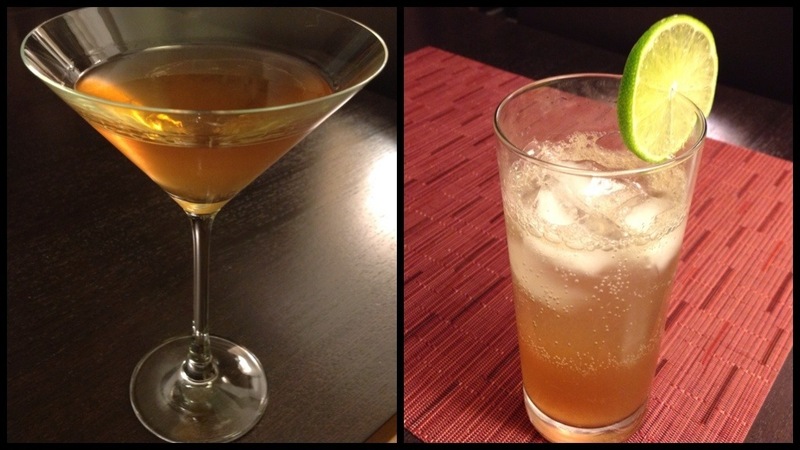 I used Del Maguey Vida mezcal for both of these drinks. Stir ingredients together and serve in a martini or coupe glass (I shook the ingredients with ice to cool it off and dilute it a bit). Fill a shaker halfway with ice. Add the sherry, mezcal, juices and simple syrup. Shake well, then strain into a collins or highball glass with ice. Top with the club soda. Note: to make simple syrup, combine equal parts sugar and water and either microwave in a glass bowl or heat on the stove in small saucepan until boiling. Allow to cool. "I didn't want a drink with 4 oz. of booze ...." Me no comprehende.